Why? Even people who claim to be in love with open floor plans want a sense of order in their homes. 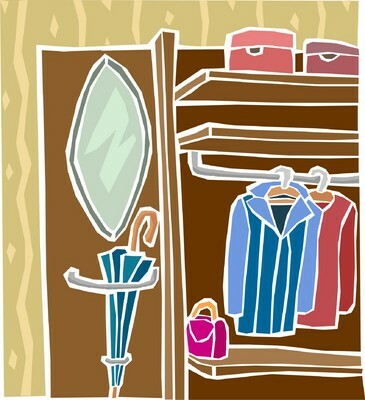 Having a mudroom, a designated area for coats and other things that people have when they enter or leave the house, keeps these items out of other living spaces. While the homeowner has to keep family members on task to put everything in its proper place, at least there is a place for outdoor gear. Even items such as book bags, purses, keys, etc. can be left there until needed and then return there for pick up the next morning on the way out. What you can create a small mudroom with an unused wall, some hooks, and some companies or storage bins, you may need to undertake a construction project. If you need structural modifications, you should pull in an architect, contractor, or other professional to design according to city codes. A floor that is tiled or covered in a material that will withstand dirt and water. In-floor heating to keep the area comfortable and free of mold. Storage cubicles for boots, shoes, and more, as well as sports equipment and legs. A bench or seat to make it easy to take boots and shoes on and off. A utility sink, a great asset for walking the dog and a handy place to get into the water to wash her hands when you running from outside. Charging stations for cell phones. Lighting that makes the space look inviting. With planning a relatively small investment, you can make an area that is bright and cheerful and not at all like a dingy closet. You'll find that this is a perfect example of the type of improvement that will make your life better while you live in your house and please buyers too. With a couple more months of winter ahead, now is the time to plan and even execute small projects that can improve your life. If you are planning on selling your home, who knows, your great ideas could improve the lives of the next occupants of your home to. Need help deciding what you need to do to make your home ready to sell? I have lots of ideas, and I am equipped to help you throughout the real estate process. If you are thinking of buying or selling, call me, Jessica Gaines Jarboe at Louisville Gaines Real Estate.